The houses in Grange Road are varied in architectural style and include Victorian, Edwardian, 1930s and 1960s buildings as well as the most modern, built in 2005. They reflect the selling off of the plots in groups from 1865 onwards. As the photo above shows, the south side of the road has hardly changed since the turn of the twentieth century except for the removal of many railings during the war. However the tenure has. Previous residents remember that until the 1950s most of the houses were rented, now most are owner-occupied. The insides of the houses have also changed with dark basement kitchens knocked through into open plan kitchen/diners, removal of outside toilets and the replacement of the gas lights and dangerous geyser water heaters of the early twentieth century by electric lights and central heating boilers. 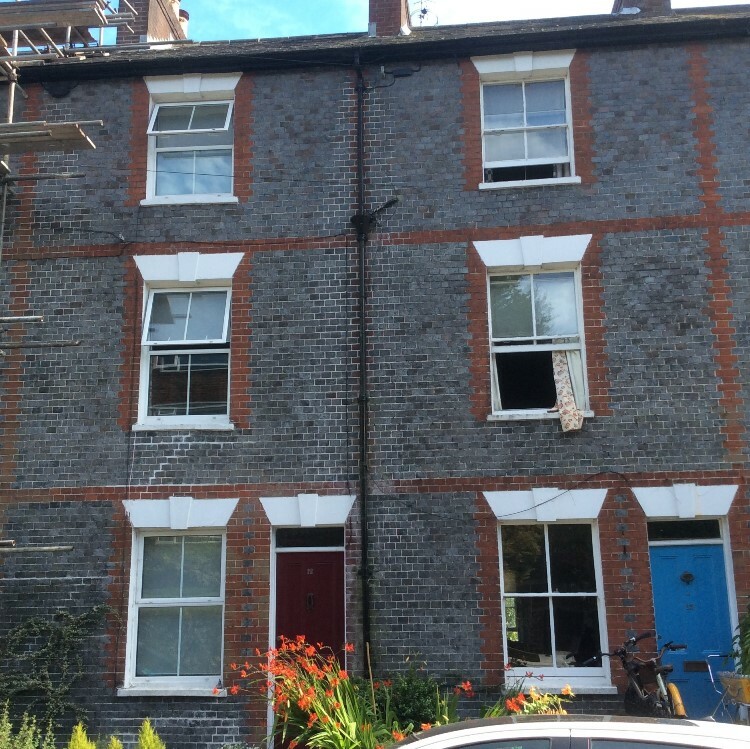 The earliest houses in Grange Road are probably the four blue brick houses (now nos 11-14) which were built around 1869/70. The deeds for no 14 show that the land for all four houses was sold to a builder, Benjamin Thorpe, in December 1867 for £106. 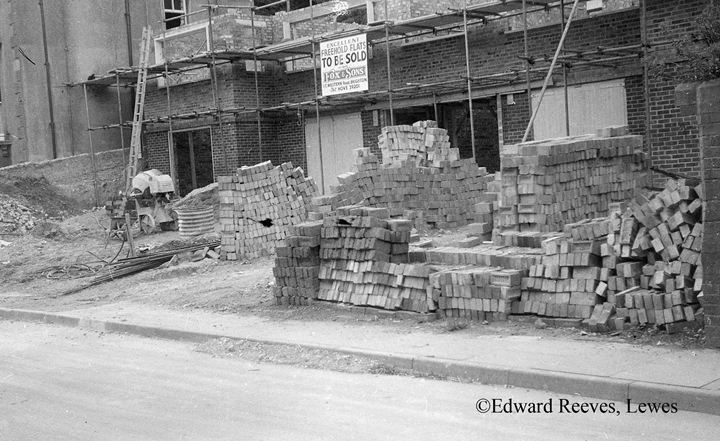 Grange Road would have been a regular building site in the 1870s. Many of the houses on either side of nos 11-14: current nos 1 – 10, 18 -23, and 30 – 32 were built shortly after, in the mid-1870s, though not all by the same builder as shown by the different frontages and layout. On the north side, the Manse, now no 55; Ingleside, no 54; and the semi-detached Wallington Villas, now nos 45 and 46, all appear on the 1877 Ordinance Survey map of Lewes. The most recent buildings on the south side: current nos 24-29 and 33 to 41; were built at the beginning of the twentieth century. 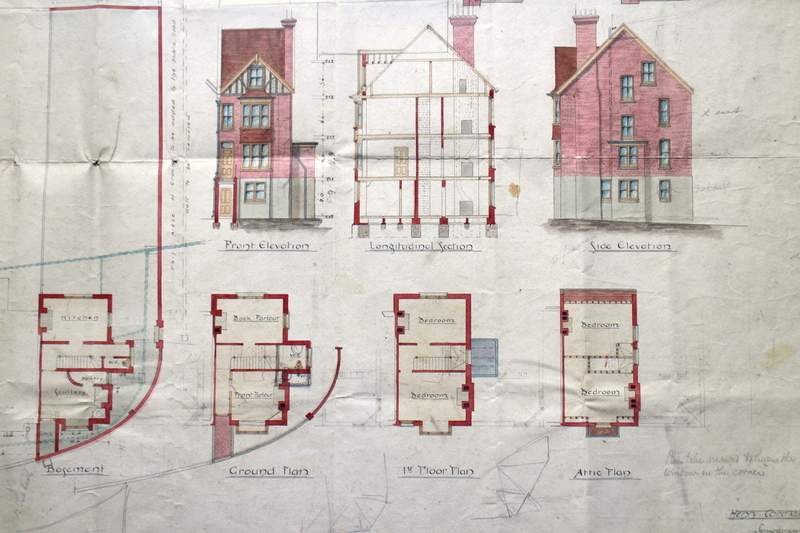 They are in the same gabled style as shown in these hand coloured plans of 41 Grange Road prepared by Henry Card, A.I.C.E Surveyor. There is a penciled date (27.8.1902) on the lining of the living room door of no 41 that probably indicates when it was completed. Henry Card, surveyor and builder seems to have had quite a hand in shaping the architecture of the south side of Grange Road. He drew the plans for the gabled houses but also owned the land on which nos 31-32 were built in 1876. Is he mentioned in the deeds of any other houses? On the north side of Grange Road, however, there have been many later additions to the first Victorian houses, built on the orchards and gardens of the houses in Rotten Row. For example, Grange Court and several bungalows were built in the late 1950s and early 1960s. The newest houses are the modern Villas, built in 2005. 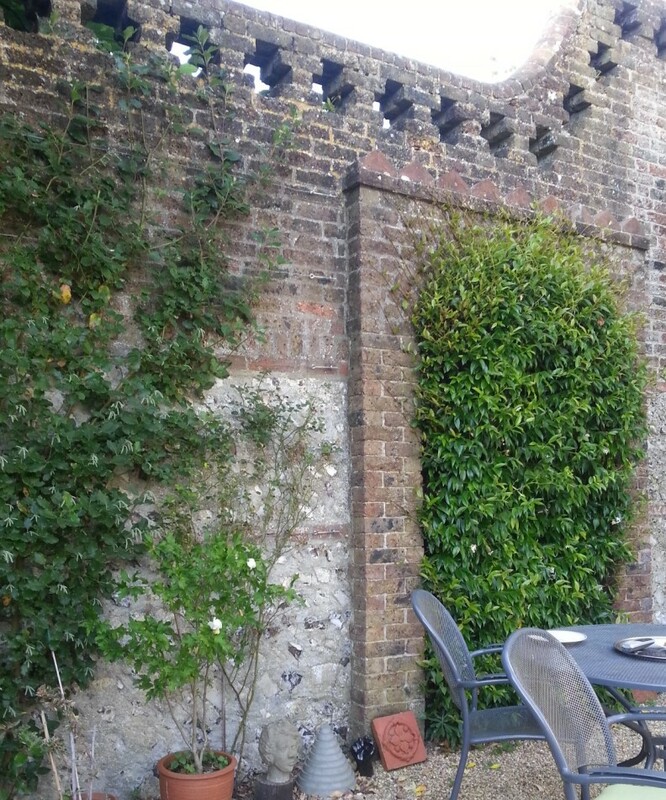 The high flint walls edging the gardens often pre-date the houses, particularly on the north side. Here maps show they delineated the orchards and kitchen gardens of the houses in Rotten Row. In places there remain traces of the doorways through the walls and fireplaces to warm the lean-to greenhouses that must have been built behind them. 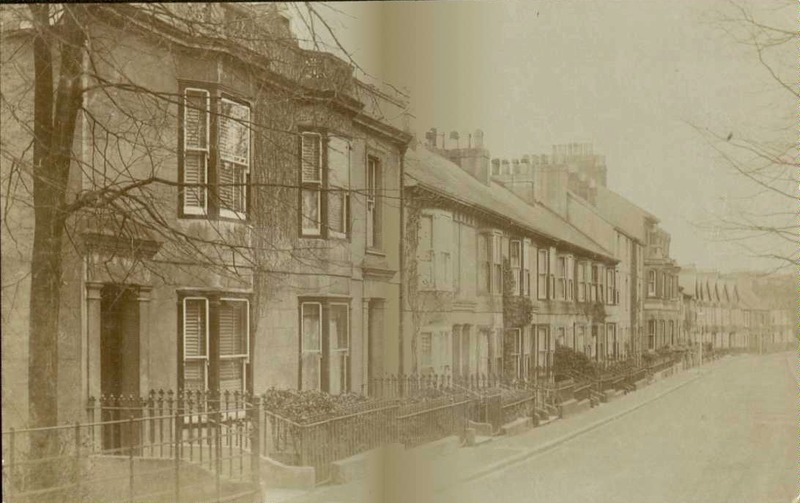 Image “Grange Road in the early 20th century” is reproduced with the permission of the County Archivist of East Sussex. The original is held at The Keep.